I'm specifically looking for "Général Thomas Alexandre Dumas"
I've heard Redlancers is a good place to shop. If you don't have anything against Ebay, it's possible to get some very good buys from sellers there, mainly ones based in Hong Kong. I've bought a number of MM figures over the past couple years from Ebay (including Dumas, which is a great figure), and have had only good experiences. 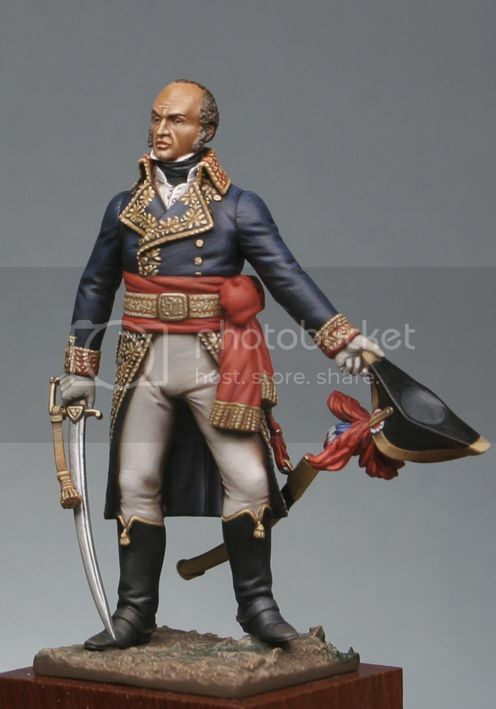 Just bought the Dreux Nancre figure a couple weeks ago from an Ebay seller in France (Domus Art) for a good price. That said, Red Lancers is very reliable and has the advantage of offering the spare parts packets for MM figures. I plan to order the officers' swords and epees set and a figure from them next month. Thanks so much!! I went straight from the company this time, and they were very helpful. Next time, which will most likely be very soon, I'll try out those options. Steve, one thing I've found on Ebay is that if you simply enter "Metal Modeles" in the search field (within Toys and Hobbies), some figures available from European sellers won't be listed. I only got my Dreux Nancre figure because just on a hunch, I entered "Metal Modeles Dreux Nancre" and it came up with a seller in Italy and one in France, from whom I bought the figure. When I just entered "Metal Modeles" the Dreux Nancre figure didn't turn up at all. So sometimes if you want a specific figure, it pays to put a bit of that info in the search field.